February 2017 - Hairlicious Inc. If you're reading this post it means your interested in learning, or possibly fine tuning, habits for a successful healthy hair journey. As with anything in life, what you repeatedly do becomes a habit. Right? A habit is a routine of behaviour that is repeated regularly and tends to occur subconsciously. - ability to reach their hair goals i.e. in length, thickness, etc. Just through simple observation, I have found hair habits that seem to be universal across the board. These key habits provide a great foundation and guideline for those who are just starting their hair journey or need a little re-fresher! 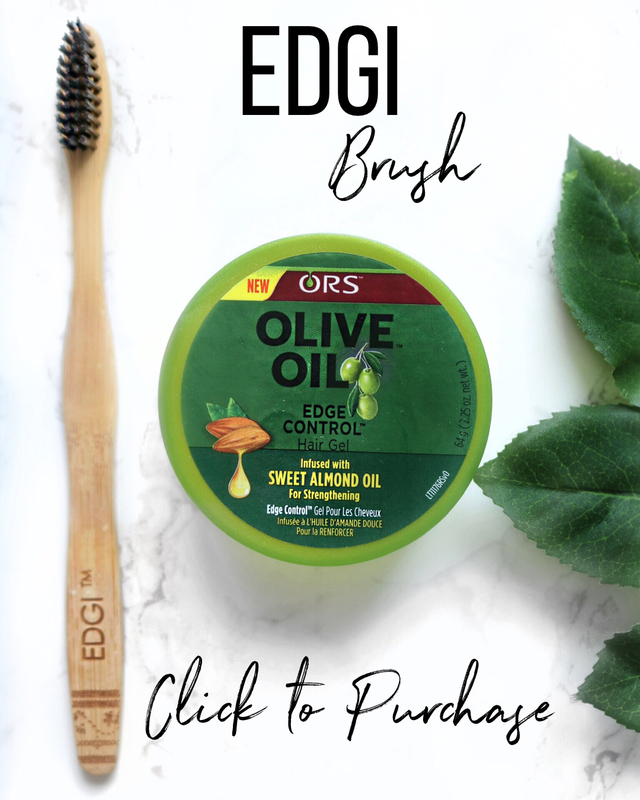 Sometimes we get caught up in new products, techniques, and tools that we get side tracked from what truly works for our hair. 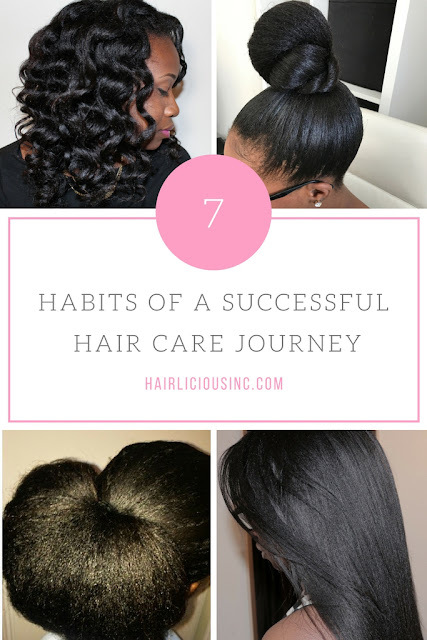 These 7 Habits of a Successful Hair Journey all work simultaneously to create the foundation for a successful hair journey! 1) Consistency - With anything that you want to accomplish, there needs to be consistency. Those who have a successful hair journey display consistency in how often they deep condition, moisturize and seal, consistently wearing a satin scarf to bed, laying off of heat etc. Their consistency reaps results! It's all about staying consistently consistent! 2) Set Regimen - Vital! As you continue to stay consistent and notice positive results, a regimen will develop. Regimens are necessary as it is a habit of routine behaviour. 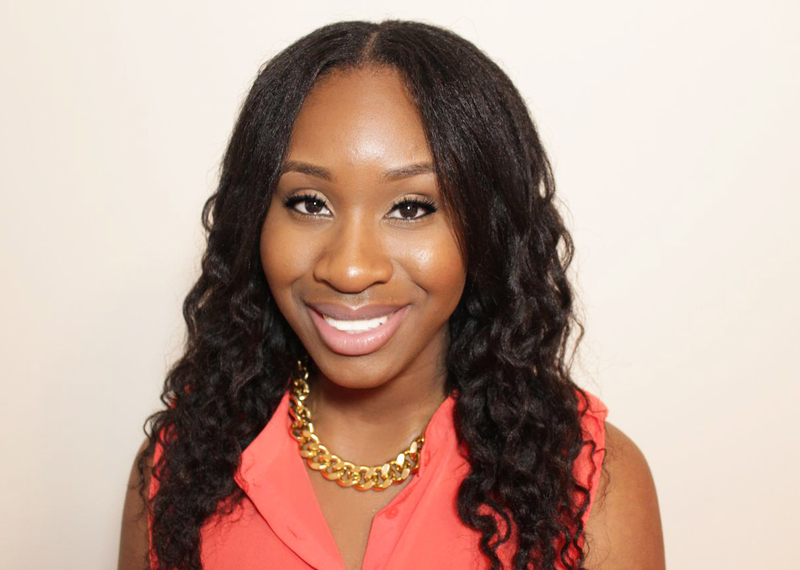 Most, if not all, healthy hair journeyers have a regimen that they follow on a weekly, bi-weekly or monthly basis. They tend to not deviate from their flow. This routine behaviour produces predictable results helping to heal and/or maintain their healthy hair. 3) Patience - Those who have achieved their desired hair goals know that patience is a virtue and a key component. Having unrealistic expectations can lead to failed/unsuccessful hair journeys. 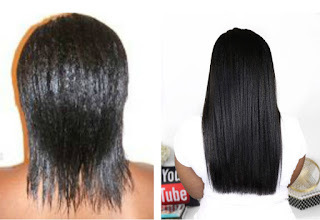 Those who have a successful hair journey exercise patience through the good, bad and ugly. 4) Keep It Simple - It's just that simple! 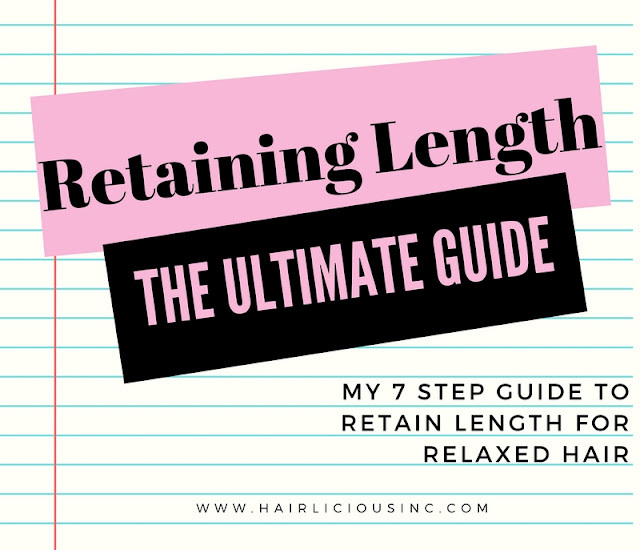 I find many ladies who have reached phenomenal lengths and thickness keep a very simple, easy to follow regimen (let's not forget the products too). Less is more! By keeping things simple it allows you to understand your hair, know what works and it takes the confusion out of it, allowing you to reach your goals with ease. 5) Know Your Hair - As a follow up to the point above, the best way to learn the behaviour/characteristics of your hair, is to keep things simple! 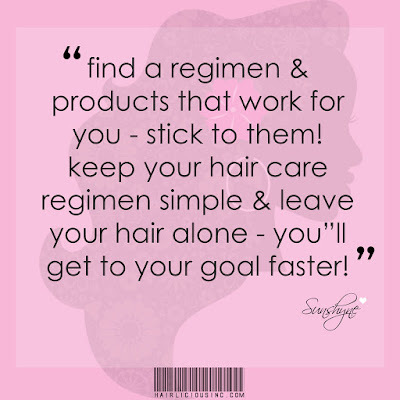 Simplifying your products and your routine will give you a chance to see how your hair responds - so important. Paying attention to the way your hair speaks to you will put you at an advantage to attain your goals. You will know the unique do's and dont's according your your hair. 6) Holy Grail Products - Let's face it, there are a ton of products out on the market for relaxed, natural, texlaxed and transitioning hair. Everyone wants to try the "new stuff" - which is great. But what I've noticed is that those who have a successful hair journey, tend to always revert back to their holy grail/staple products. Though they try a new product here and there, they always have their staple products in rotation (this goes back to Consistency). Their "tried and true" products die hard! 7) Low Manipulation/Protective Styling - Those who have a successful hair journey know the importance of leaving their hair alone and laying off of direct heat for a period of time that best suits them. They have routine behaviour of choosing styles that will not add stress and/or strain to their hair i.e. buns, braid-outs, twist-outs, up-dos, box braids, wigs etc. In fact, many hair journey's that display success are a result of just leaving the hair alone. What do you think? Would you apply these techniques? 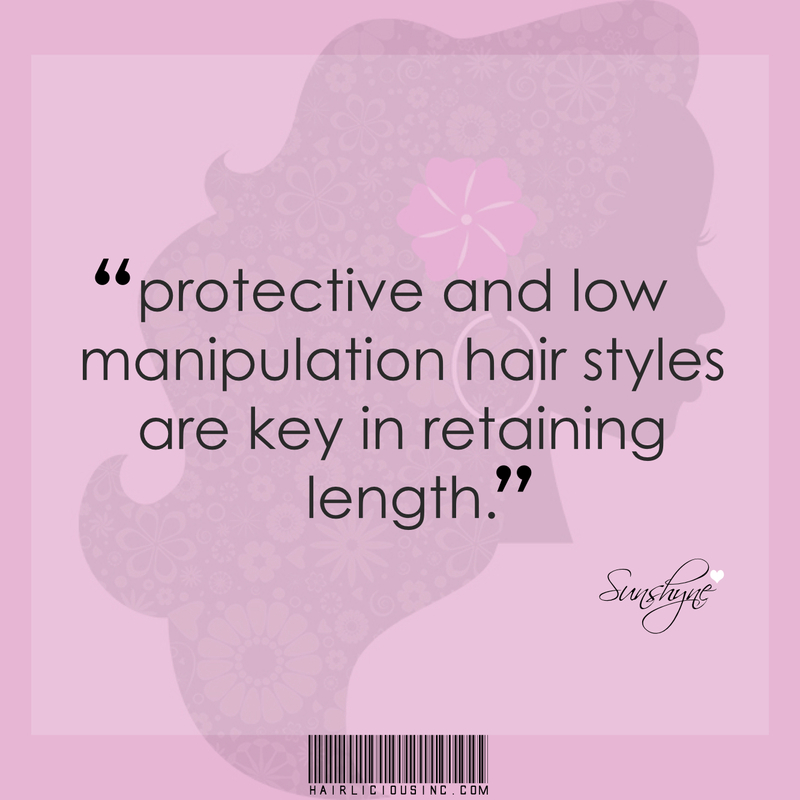 What habits have you incorporated into your hair journey? Hairlicious Hair Tips - Valuable Tips I've Learned Through My Hair Journey! 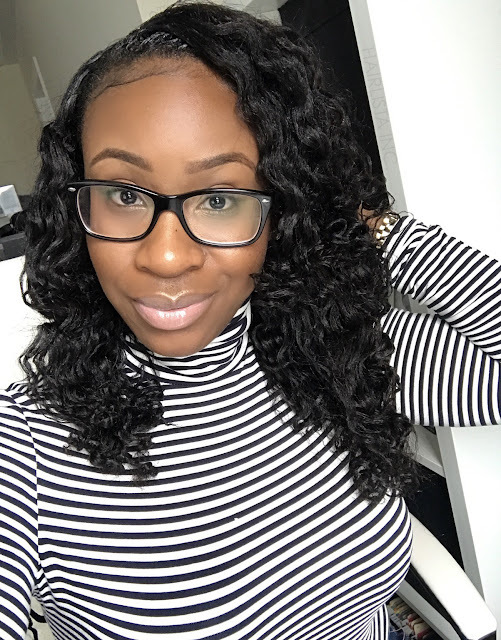 Throughout my hair journey I've learned many valuable lessons, tips, words of advice that truly allowed me to stick to what works, keep things simple and stay motivated! I figured, why not share these significant yet simple tips?! 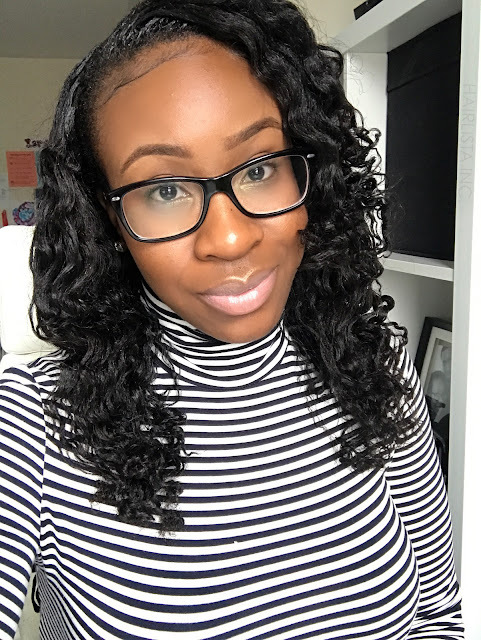 What hair tip/advice has stuck with you throughout your hair journey? Hair Tip: Dry hair breaks! Only manipulate moisturized hair! 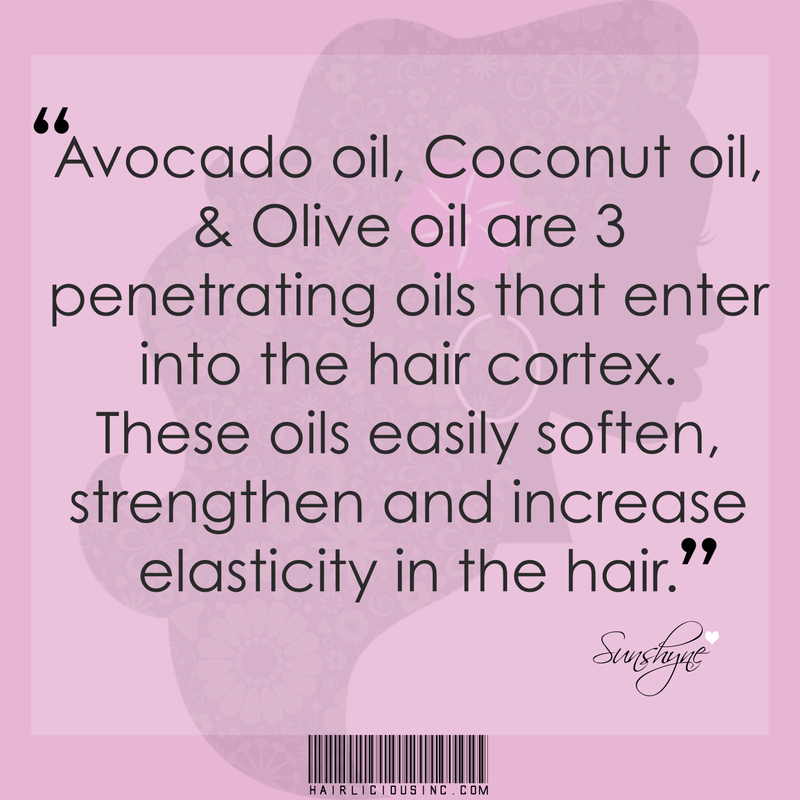 Hair Tip: Oils do not moisturize dry hair! 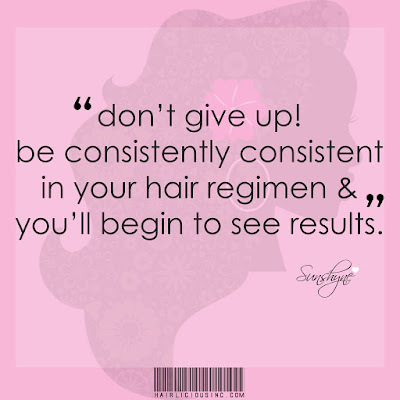 Hair Tip: Don't give up be consistently consistent with your hair journey! Hair Tip: Build up inhibits hair growth! Clarify your hair. Hair Tip: Avocado oil, Coconut oil and Olive oil are 3 penetrating oils that enter into the hair cortex. 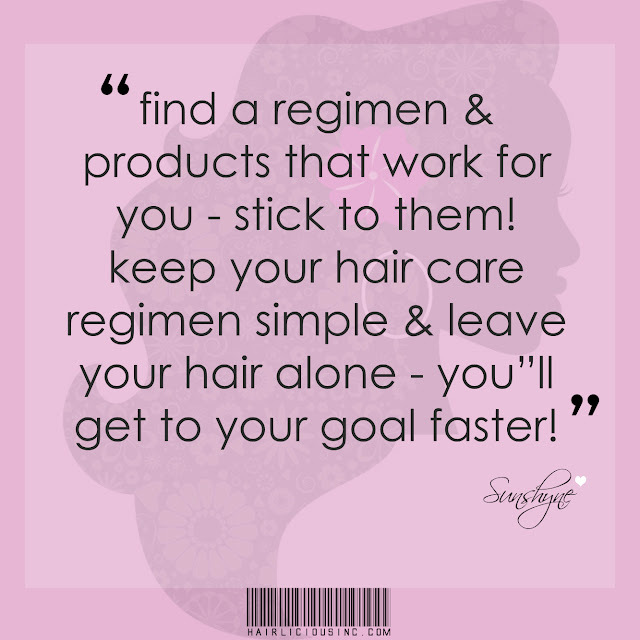 Hair Tip: Find a regimen and products that work and stick to them! Twist out with Luster's Pink Curl & Twist Pudding & Leave-In Conditioner! Lately, I've been using the Luster's Pink Shea Butter Coconut Oil line in my day-to-day hair routine. I think I've found a few favourites. I've noticed myself reaching more and more for the Silkening Leave-in Conditioner as the last step on wash day. 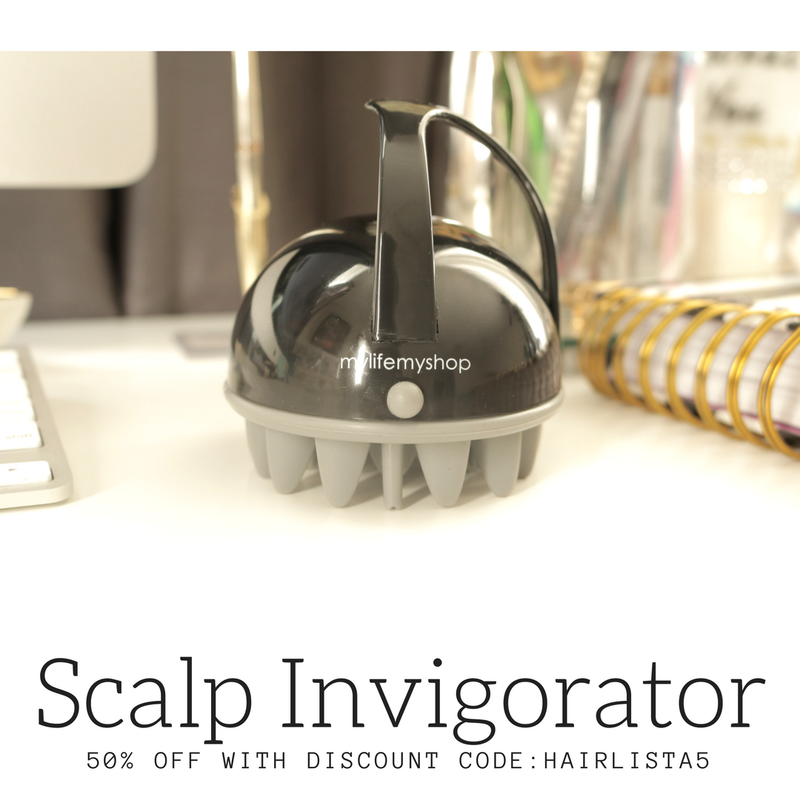 This product works so well on damp hair, it's creamy and the slip is crazy - with no 'cones!! The Curl & Twist Pudding has a 'jello-like' consistency yet dissolves easily between your fingers. A little goes a long way giving me a soft/medium hold and it smells amazzzing!! I did a twist out on slightly damp hair using the Curl & Twist Pudding along with the Silkening Leave-in Conditioner and I'm happy with the way it turned out. My steps were super easy! I made 6-8 undefined sections in my hair, two-strand twisted each section (after applying a little bit of both products) and secured my ends with orange perm rods - went to bed! I unraveled my twists in the AM. Results below! I typically don't do twist-outs much, so I didn't know what to expect, but I'm loving this look! The moisture, sheen and curl hold throughout the day was better than I anticipated.